June 26, 2009, Update the House of Representatives paused for a moment of silence Friday to mark entertainer Michael Jackson's death. Lawmakers briefly interrupted a debate on a global warming bill to stand in silence and honor the "King of Pop." Rep. Diane Watson of California rose during the debate to suggest the House "pay tribute to the culture that he has left behind, his legacy." Watson said the lawmakers send their condolences to Jackson's family, friends and his fans worldwide. Rep. Jesse Jackson Jr. of Illinois said the singer changed the world and he wants to "thank God for letting all of us live in his generation and in his era." June 25, 2009, American recording artist, entertainer, and businessman Michael Joseph Jackson, King of Pop, has died to what appears to have been a cardiac arrest. The seventh child of the Jackson family, he debuted on the professional music scene at the age of 11 as a member of The Jackson 5 and began a solo career in 1971 while still a member of the group. Referred to as the "King of Pop" in subsequent years, five of his solo studio albums are among the world's best-selling records: Off the Wall 1979, Thriller 1982, Bad 1987, Dangerous 1991 and HIStory 1995. One of the few artists to have been inducted into the Rock and Roll Hall of Fame twice, his other achievements include multiple Guinness World Records—including one for "Most Successful Entertainer of All Time"—13 Grammy Awards, 13 number one singles in his solo career—more than any other male artist in the Hot 100 era—and the sales of over 750 million albums worldwide. Cited as one of the world's most famous men, Jackson's highly publicized personal life, coupled with his successful career, made him a part of popular culture for almost four decades. Michael Jackson died at UCLA Medical Center. Jermaine Jackson, brother, cautioned at a hospital press conference Thursday that the cause of his brothers death would not be known until an autopsy was performed. Jermaine Jackson further stated his brother personal doctor and paramedics tried to resuscitate him at his rented home in Holmby Hills. A team of doctors at UCLA Medical Center also tried for more than an hour. 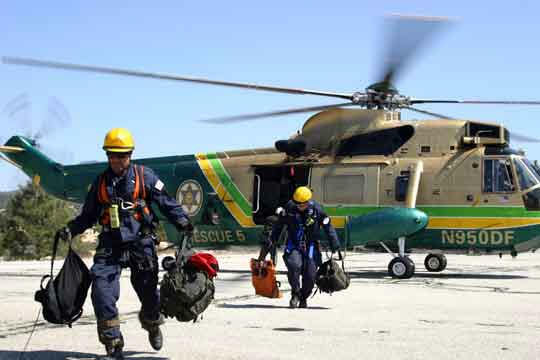 Michael Jackson’s body was flown by Los Angeles County Sheriff's Air Rescue 5 to the Los Angeles County Coroner's Office for an autopsy.